Meet Casper Kruger, our District Governor for 2018-2019. 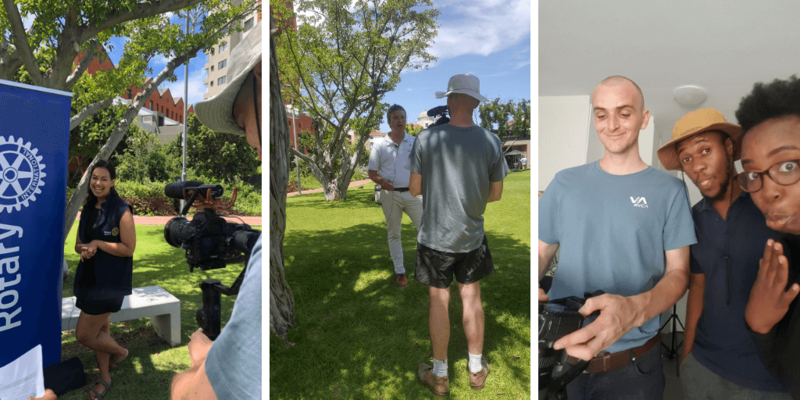 Casper was born in Oranjemund, Luderitz District, Namibia when Namibia was still part of South Africa so he is both Namibian and South African. He is married to Wilna (affectionately known as Tannie DG) and they have two children. 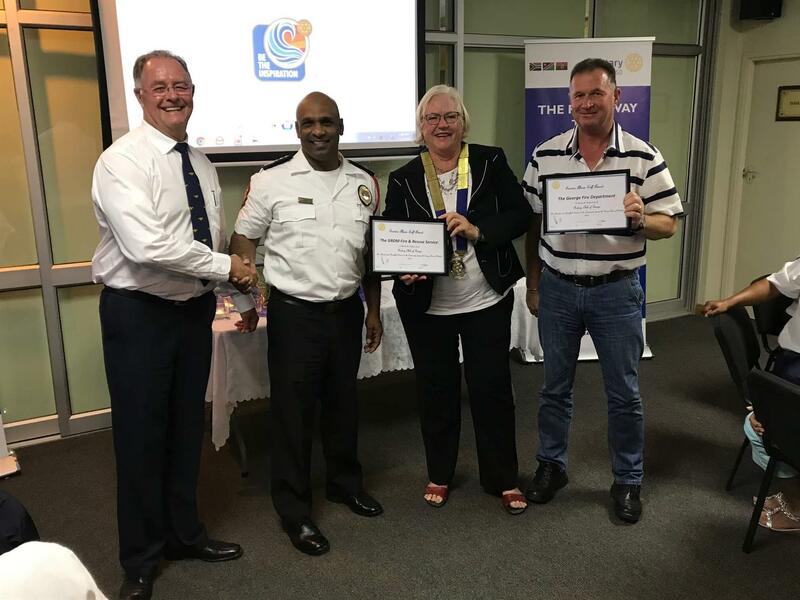 He was the Charter President of the Helderberg Sunrise Rotary Club in June 2006, and again in 2017/18, and subsequently served the District as Friendship Exchange Chair, Assistant Governor and District Secretary. A District Diversity Committee was launched at District Conference in 2018 and since then, members of the committee have been hard at work organising and facilitating conversations around the topic of diversity in Rotary. When we talk about diversity, we mean diversity of vocation, skills, gender, interest, ethnicity, religion and much, much more. Our guiding question is "How can we make sure that, whatever your background and context, you feel like there is a place in Rotary for you?" 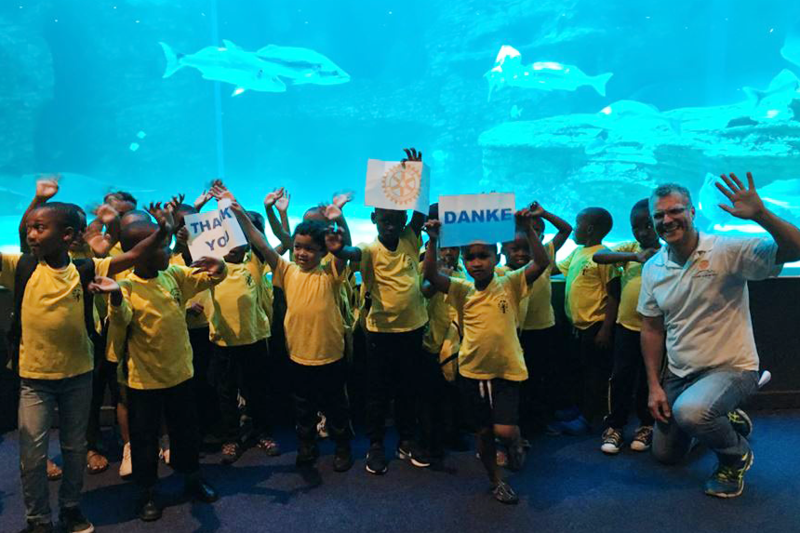 Rotary Am Kap were blessed to invite all kids and all teachers from their Signature Project, the Hangberg Pre-Primary School in Hout Bay, Hangberg Educational Trust to the Cape Town Aquarium for a day visit! It was such a great feeling to see over 90 kids and 15 teachers having such a joyful day - seeing and nearly touching sharks live, exploring the sea life as well as a very well organized kids show at the Two Oceans Aquarium. All kids behaved very very well - thanks to Tania and her amazing team! 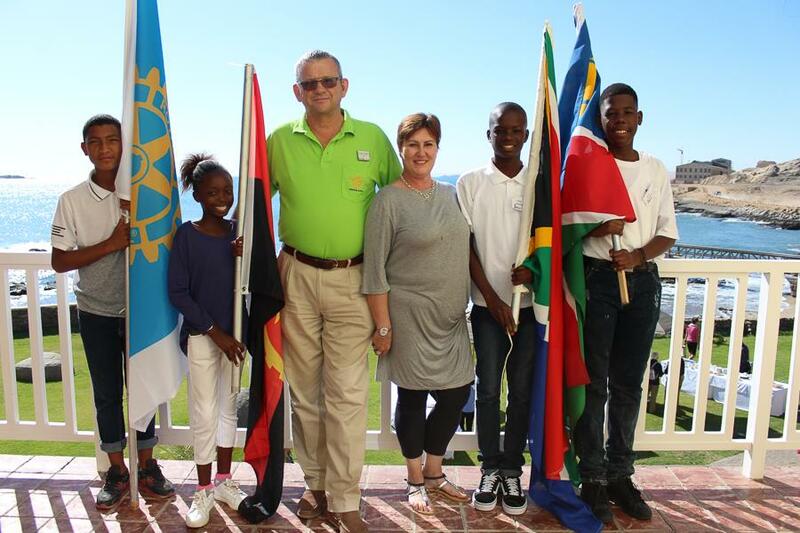 Includid Group Homes provides inclusive living for people with intellectual and physical disabilities,” explains Gavin Schachat, President of the Rotary Club of Sea Point. Residents, aged 26 to 60 years, receive basic working and living skills in order to promote equality and raise awareness of their abilities while being respected and treated as part of the community. 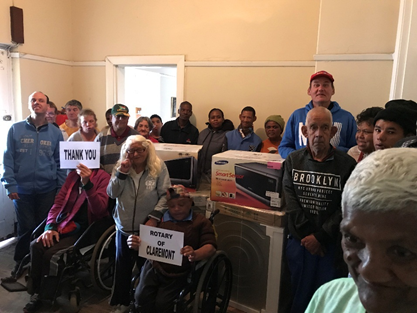 Sea Point and Claremont Rotary Clubs were asked to assist with making their lives a little more comfortable.